In 2015, The American Registry for Internet Numbers (ARIN) announced that it had exhausted its pool of IPv4 addresses. At the back end IPv4 played a major role for years in creating and facilitating the internet used by billions of people worldwide. But, with time it brought on board more users and devices that it couldn’t accommodate. The result of which was an exhaustion of unique IP addresses. 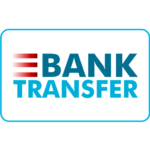 Although an alternate is available, transition is extremely slow because of a number of challenges. Here we shed light on the evolution of this technology and what its exhaustion could mean for the common user. IPv4 was introduced back in 1984 and was the fourth advancement in internet protocol technology. It uses a 32-bit address space allocation scheme with four sections of eight bits separated by periods. It can accommodate 4.3 billion addresses which at that time was considered an unreachable figure. But all that changed with a number of technological advancement. As the price of home computers started to decrease its usage became widespread. Offices, even homes had multiple personal computers by the year 2000. This trend saw a more significant increase with the advent of smart phones, laptops, tablets and more. As more devices connected to the internet, soon there weren’t enough unique IP addresses to accommodate all. 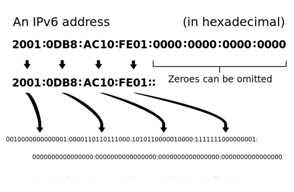 The answer to this problem came in the form of IPv6 that utilizes a 128-bit address scheme. 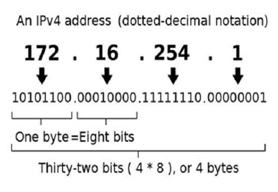 IPv6 can accommodate 340 undecillion (36 zeroes) addresses. However, transition has remained slow because of a number of challenges. For some companies the process can be simple, but for others it can require complicated and delicate back end changes. A smallest of errors can slow down speeds or make websites completely inaccessible. The biggest problem is that of compatibility. While most of the leading operating systems like Window and Mac OS are already IPv6 ready, there are certain things that need to be brought on board to make a complete and efficient transition. These may include web browsers, anti-virus softwares, modems, gateways, routers, networked and internet enabled televisions, security systems, multi media players and more. The problem is that majority of consumers who are not as tech savvy as others tend to respond to changes slowly. Take the simple example of old home routers which may not be compatible with IPv6. Yet, many continue to use them till today. Therefore, this transition is going to take time. Till then the industry will face the constant challenge of exhaustion. But worry not. We are here to take care of all your IPv4 address needs. Looking to buy, sell or lease IPv4 address space? Contact us today.